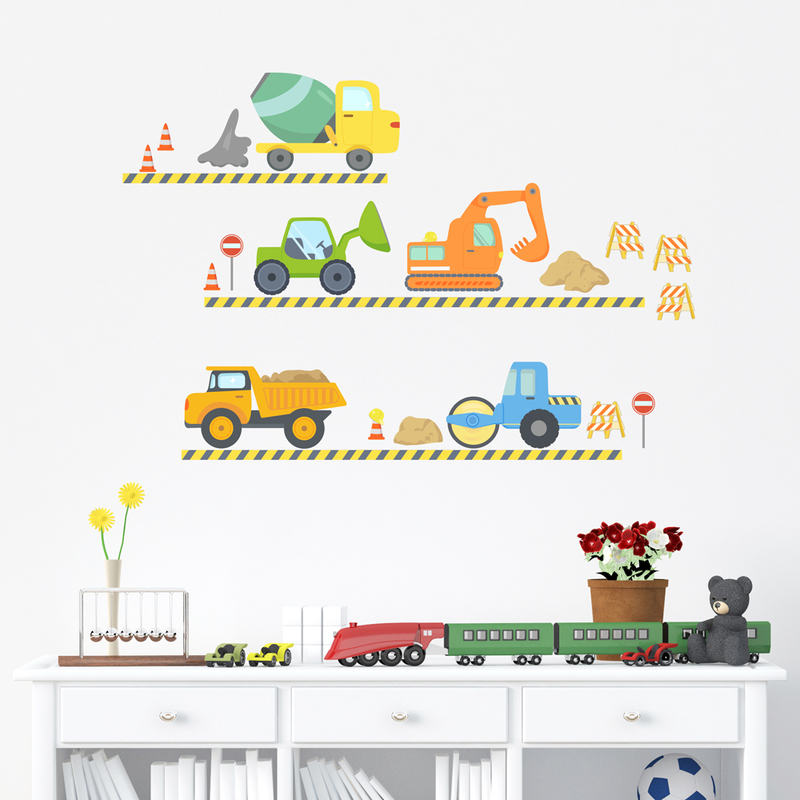 For the child who dreams of big machinery and has a passion for building things, they will love this Construction Fun Printed Wall Decal set! This kit includes 5 construction site cars and machines, signs, cones, and 3 sets of roads. 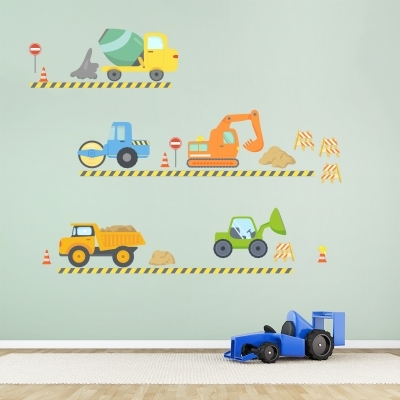 And if they want to include city traffic around their construction site, be sure to check out our Transportation Fun Printed Wall Decal Set. Please note: Colors and sizing may vary slightly from the image above.